We have already discussed about vmotion previous post and here we will learn more about different versions of vMotions. When you migrate virtual machines with vMotion and choose to change only the host, the entire state of the virtual machine is moved to the new host. First it copies memory content and all the information that defines and identifies the virtual machine to target virtual machine through vMotion network. If the source virtual machine continues to change its memory, again copying will start but only delta changes occurred from last copy. After completion of all the copying process, source virtual machine will process shuts down and target virtual machine will resume its activities. This will be completed in very quick and next we have to wait for vMotion to finish is because of the network, recommends to have minimum 1G network for vMotion. When you choose to change both the host and the datastore, the virtual machine state is moved to a new host as mentioned above and the virtual disk is moved to another datastore. vMotion migration to another host and data store is possible in vSphere environments without shared storage. Note: The memory content includes transaction data and the bits of the operating system and applications that are in the memory. The identification information stored in the state includes all the data that maps to the virtual machine hardware elements, such as BIOS, devices, CPU, MAC addresses for the Ethernet cards, chip set states, registers etc. If errors occur during migration, the virtual machine reverts to its original state and location. Long distance vMotion can be referred as cross datacenter vmotion or cross country vmotion . VMware vSphere 6.0 adds functionality to migrate virtual machines over long distances. You can now perform reliable migrations between hosts and sites that are separated by high network round-trip latency times (150 milliseconds or less, between hosts). To support long distance vmotion you required an Enterprise Plus license. The vMotion process will keep the virtual machine historical data such as events, alarms etc and specific configuration details like HA properties and DRS Affinity/Anti-Affinity rules which are associated with vCenter. A RTT (round-trip time) latency of 150 milliseconds or less, between hosts. Your license must cover vMotion across long distances. 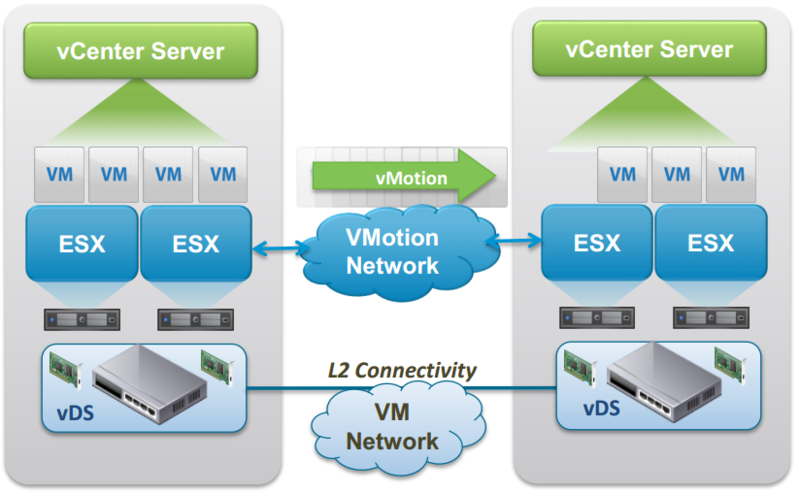 The cross vCenter and long distance vMotion features require an Enterprise Plus license. vMotion Network ( L2 network) . Both vCenter Server instances must be time-synchronized. In vSphere Web Client, both vCenter Server instances must be in Enhanced Linked Mode and must be in the same vCenter Single Sign-On domain. vCenter Server instances may exist in separate vSphere Single Sign-On domains by using vSphere APIs/SDK . Source and Destination VDS must be the same version. In VSS , network labels used for the virtual machine port groups are consistent across hosts. This operation allows virtual machine to move across vCenter Server, Datacenter Objects and Folder Objects. This operation will change compute, storage, network and vCenter . 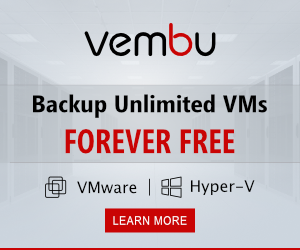 There is some requirement to perform this operation, hosts should be licensed for vMotion and required configuration for vmotion, and shared storage. Balance workloads across clusters and vCenter Server instances. Elastically expand or shrink capacity across resources in different vCenter Server instances in the same site or in another geographical area . Move virtual machines between environments that have different purposes, for example, from a development to production. MAC Address of virtual NIC is preserved across vCenters and remain always unique within a vCenter . VM MAC will not reuse when VM leaves from one vCenter. During the migration of a virtual machine to another vCenter Server system, the performance data that has been collected about the virtual machine is lost. To move a virtual Machine without shared storage is available from vSphere 5.1 onwards. The process is the same as traditional vMotion (host and datastore), same as you need to choose to what host, datastore, and a priority level. This feature is useful for performing cross-cluster migrations, when the target cluster machines might not have access to the source cluster’s storage. vMotion to migrate virtual machines to a different compute resource and storage simultaneously. Unlike Storage vMotion, which requires a single host to have access to both the source and destination datastore, you can migrate virtual machines across storage accessibility boundaries. Note:- The amount of data is huge then better to shut down the virtual machine to speed up the vmotion process. The hosts must be licensed for vMotion. Host version should be ESXi 5.1 or later. The destination host must have access to the destination storage. When you move a virtual machine with RDMs and do not convert those RDMs to VMDKs.  If you use RDM destination host must have access to the RDM LUNs. vMotion network should be available on source and destination hosts.